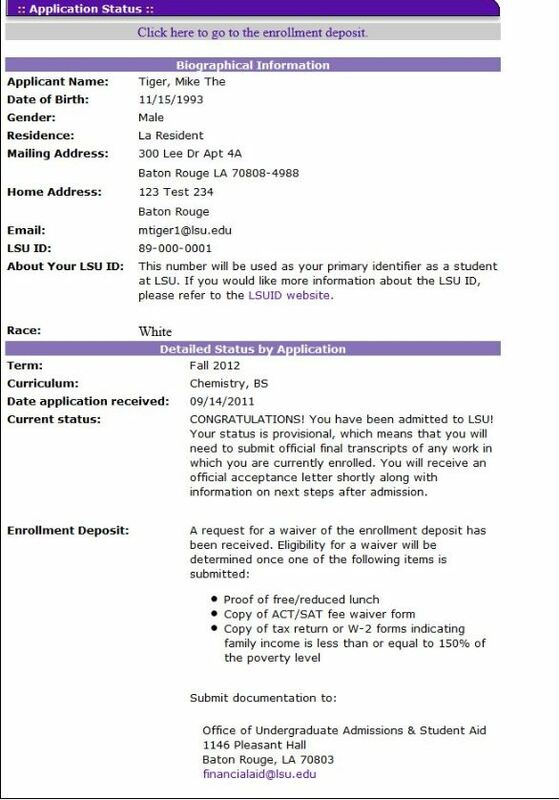 For Graduate School Application Status, go to LSU Graduate School Application: LSU Overview. 2. Select Student Services | Application Status. 3. Application status is now displayed.